The first event of the season is behind us, and it was a great success, setting the pace for the rest of the year. There were about 25 die hard pilots taking Friday off to come out and fly. Saturdays turnout was even stronger with 41 pilots. 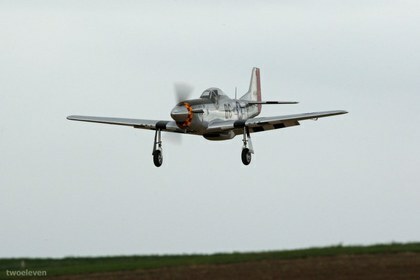 Although it was windy at times, this did not stop any of the seasoned pilots from showing their right stuff. The event was incedent free, with only a couple of deadsticks. Many photos from the event are up in the gallery, and many more are rolling in, so check back often. 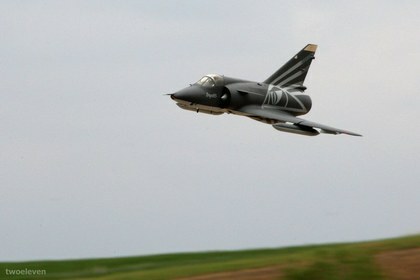 Speaking of Rolling in, it seems that the most popular maneuver out there was the rolling harrier, and almost all the polots were able and willing to demonstrate their proficiecy in this maneuver....in 12-15mph wind. Thanks to the sponsors, Ace Hobbies, DW Foamies, Desert Aircraft, Air Wild, Hobbie Club USA, E-Power, and 3-D Hobby Shop for making this event possible. The 35% Yak courtesy of Thunder Tiger/ACE went to Ground Pounder Bill. 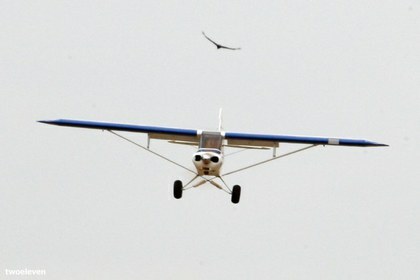 The 29% Edge 540 courtesy of Airwild Hobbies went to 10 year old Robbie and the DA-50R went to Jason Benson. Also, a huge thanks goes out to volunteers for making sure this event was pulled off without a glitch. We're also in the process of tracking down the complete list of plaque winners, so check back here soon for the results. So who is excited about the 3-D Full deflection and Free Style Event that is happening at our Prado Field on May 21st and 22nd? Well I am for one, and since I've never been to one of these events, I thought I'd bone up on some of the maneuvers that I might be seeing at the event. I began compile a small list of maneuvers and the descriptions, thinking that maybe others might be intereted as well. Anyhow, I kind of got carried away and created a monster of a list with over 60 maneuvers with descriptions and youtube videos back them up. 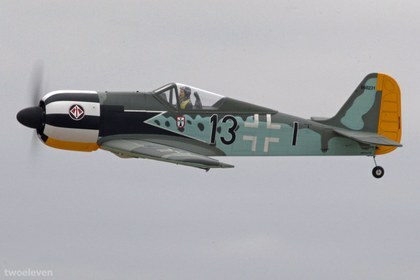 Now I doubt that we will see all 60 of these, but I know I learned a lot about the creative maneuvers that pilots are doing these days, and am hoping to get out to the field and try some of them. Second thought I'd better hit the Simulator first. 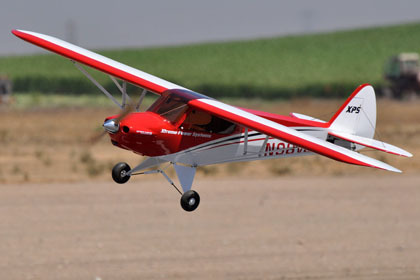 Club member Victor Noiron, with his company RC Hobby Hauler Trailer Manufacturing, has gotten in the business of producing quality RC ailrplane trailers. I've seen this trailer first hand and it looks like a fantastic setup. Some of the standard features include a battery with 110v and 12v outlets for charging and other needs, a place to store a generator, rear work bench area with storage, 2 levels of airplane storage with adjustable shelving, and lighting through-out. He even offers an option for custom graphics. So if you have a few large aircraft, and want to take them to the field without removing the wings, this may be the trailer for you. 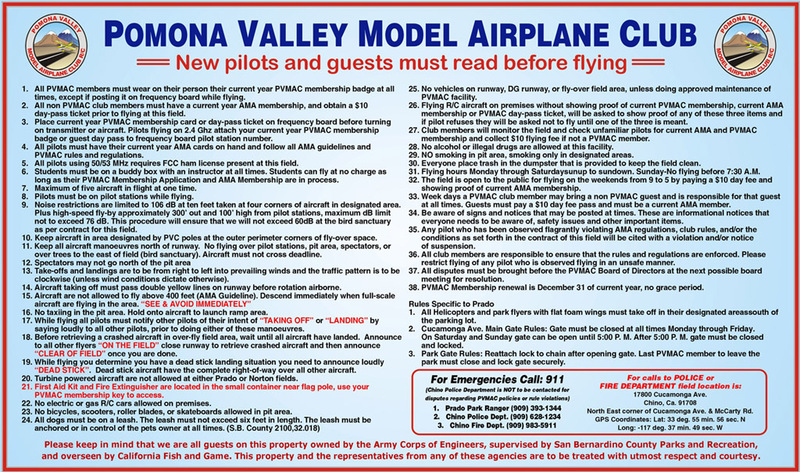 Check out the posted video and call Victor with RC with any questions at 626-422-7110.
your Prado Airfield, on Saturday 4/3/10. 7 ¼ % of your PVMAC Membership helped out ! The Prado field rules board has been removed from the frequency area, and has been edited, reprinted, and mounted next to the diplay cases on the container. In addition the frequency board has been reduced in overall size while and has and is now removable so that we can relocate it when we have special events. This is in a effort allow for better visibility of the runway from the pits area. 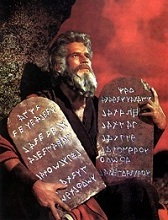 All pilots should make sure to read the rules again to familiarize yourself with the the field rules. 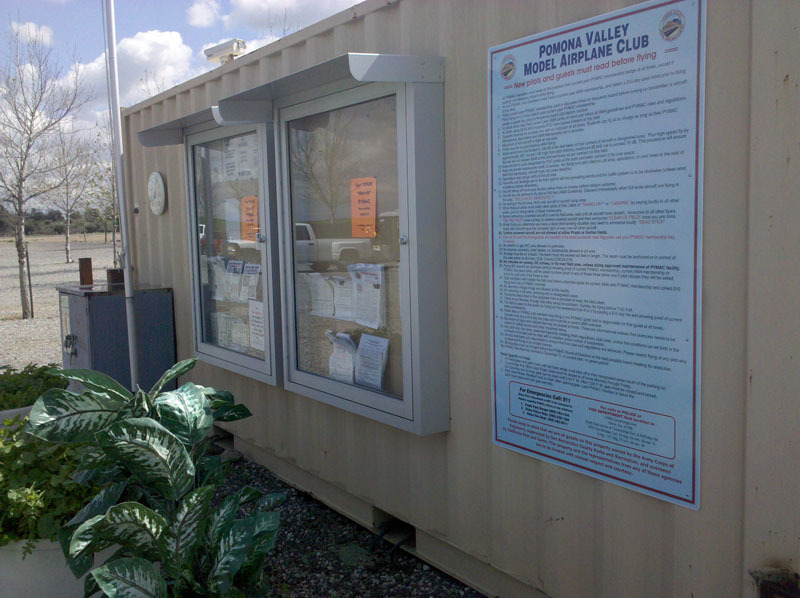 These rules are here to make the club a safe place to fly at. Click on the images below to see larger versions of them, and you can even read the rules. 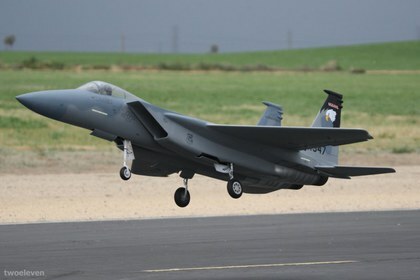 New World Record for Fastest RC Jet! 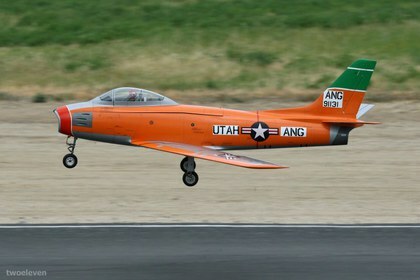 On January 26, 2010, Guinness World Records awarded Axel Hache of the Dominican Republic and David Shulman of the USA the new world record for fastest remote controlled jet powered model aircraft when they piloted their turbine powered rc plane to an average of 337.18 MPH. 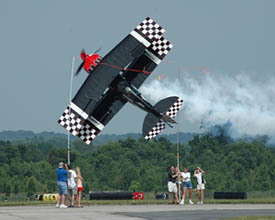 The jet was flown at the Hobbyland airfield in the Dominican Republic on January 17, 2010, and achieved a maximum speed of 345.23 MPH down wind. The record breaking plane is a JMP Firebird equipped with an AMT Olympus HP turbine engine generating over 50Lbs of thrust. Now for the bad news. AMA rules (link to rules) stipulate that turbine powered aircraft shall not exceed 200 MPH and turbine engines shall not exceed 45lbs of static thrust. 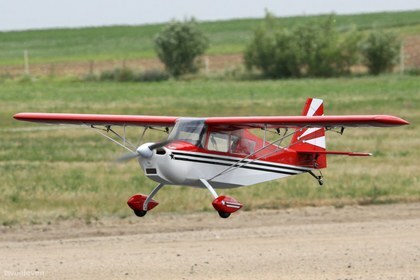 Also the PVMAC strictly prohibits the use of turbine powered aircraft at our fields. So unfortunately, I don't think we will be seeing any record breaking attempts at our local fields. Congratulations though to Axel and David though for their accomplishment. Check out the video below, it's unreal and the plane is way too fast for my thumbs. It is with great sadness that I report that Jim Giffin, our newley elected Distrixt X VP who won the position in a close race last year, has passed away. This was posted on the AMA website earlier this week. "Jim Giffin, District X Vice President, passed away from an illness January 31, 2010. Jim was the head of AMA’s largest membership district with approximately 27,000 members, covering five western U.S. states and Guam. 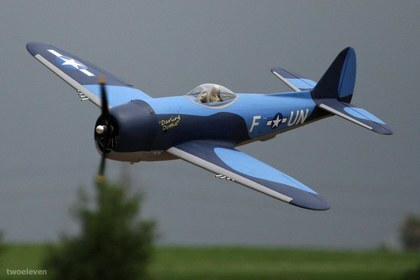 He was past president of the International Miniature Aircraft Association, a contest director since 1997, and a recipient of the AMA Distinguished Service Award. 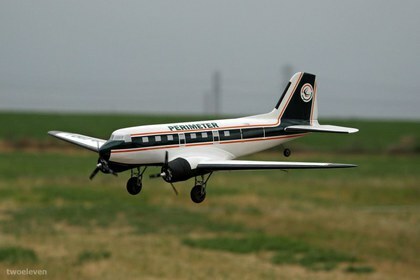 Jim was also a commercial pilot with multiengine and instrument endorsements. Jim was born, raised and educated in Salt Lake City, and was veteran of the United States Marine Corps and United States Army. The Academy extends its deeply felt condolences to his family and many friends across the country." The 2010 AMA Expo has passed and for the second year in a row, the PVMAC had a booth there. Like last year, this year was a big success for the PVMAC. The volunteers at the PVMAC booths were able to sign up 17 new members and 33 membership renewals. The volunteers were also hard at work selling raffle tickets, and the work payed off as the sales of tickets were up dramatically from last year. This year, 3 PVMAC members were lucky enough to win a raffle prize. 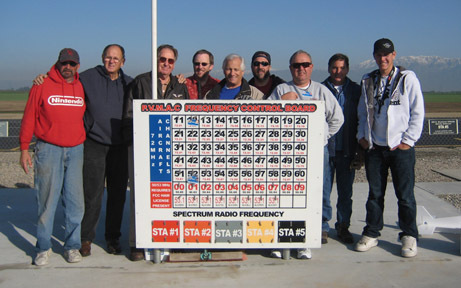 Member Victor Noiron won an O.S.61, Jim Sout won a Hangar 9 Extra 260, and Joe Augion won a Saito FA-125A. Non members also took home some great prizes; Kali Fogel won a JR9303 Radio, Steven Penn won a Hangar 9 P-51, Bob Thorugood won the FS-One Flight Sim, and Lucky Tom Kelly, purchasing just one ticket, won the Desert Aircraft DA-50-R. 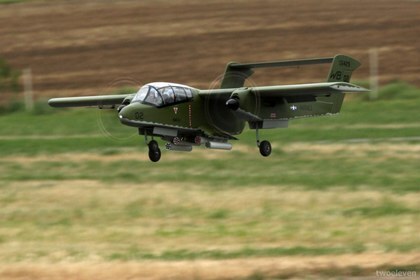 The PVMAC would Like to send a huge thanks to Dave Johnson from Desert Aircraft for donating DA-50-R, and to Horizon Hobby for their contribuitions to our raffle. We would like to also thank Chuck Pozone, Manual Rodrigues, Charlie Mitchell, Frak Harris, jim Stout, Thomas Marcure, Roy Barringer, Jose Brea, Antone Van and Beth, Kyle and Phil Goodwine for dedicating all or part of your weekend to this event. It was stated at the January club meeting that because of the success of the 2010 Expo, we will definately be attending the 2011 AMA Expo. In fact there is already plans to increase our presence at the next show by adding a table to our booth.